It’s hard being a mom. Add in homeschooling and you’ve got a whole other set of challenges. 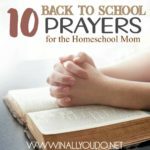 Whether you’re a veteran homeschooler or just starting out, there are struggles at every level. Some are easily overcome and some…not so much. Over the last eight years I’ve dealt with all of these and I want you to know you’re not alone. We’ve all been there and I’m here for you! 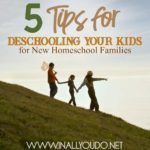 Did you know there are homeschooling groups that you can join? And they aren’t just all about the kids either! That’s right! 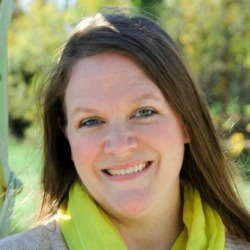 These groups are also about the parents making strong connections. However, if you’re an introvert, it can be hard to take the first step in making friendships. 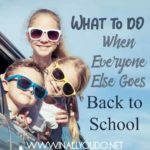 It’s easy to make friends when your kids are in a typical school setting because setting, it can be tempting to stay in the comfort of your own home, and fall into a bit of a rut or a homebody. Solution: Make a point to get out and into different homeschooling groups or join up with another family for a field trip. Start small if the thought of large crowds overwhelm you. Most homeschoolers I know are great at planning out their lessons, or at least have a general idea of the week ahead. However, if you’re like me, it can sometimes be hard to stick to your planned lessons when there is other stuff happening around the house. It’s tough to stick to your lesson plans sometimes, but practicing self-discipline is a great way to teach your children valuable lessons that will impact their future. Solution: Give your children some leeway on their lessons. Give them a goal for the week rather than each day. That way they can pick and choose when and how quickly they complete their work. We aren’t all naturally born with the patience and understanding that we need to young children. Often times moms get irritated with their children as a mom, rather than a teacher. It isn’t easy being both to your own children and often times we take their actions and attitudes personally. Solution: Give yourself some time and learn along with them how to relax more. Sometimes just taking a step back and break to breathe brings everything back in to perspective. It can be tough to have an open mind when everyone has an opinion about homeschooling. You may get a lot of unwanted advice from other parents who either have a strong opinion about homeschooling or who have done it all before and want to tell you their experiences. Solution: Try to have an open mind and listen to what people are telling you. Sometimes you might just hear a nugget of wisdom you really needed. 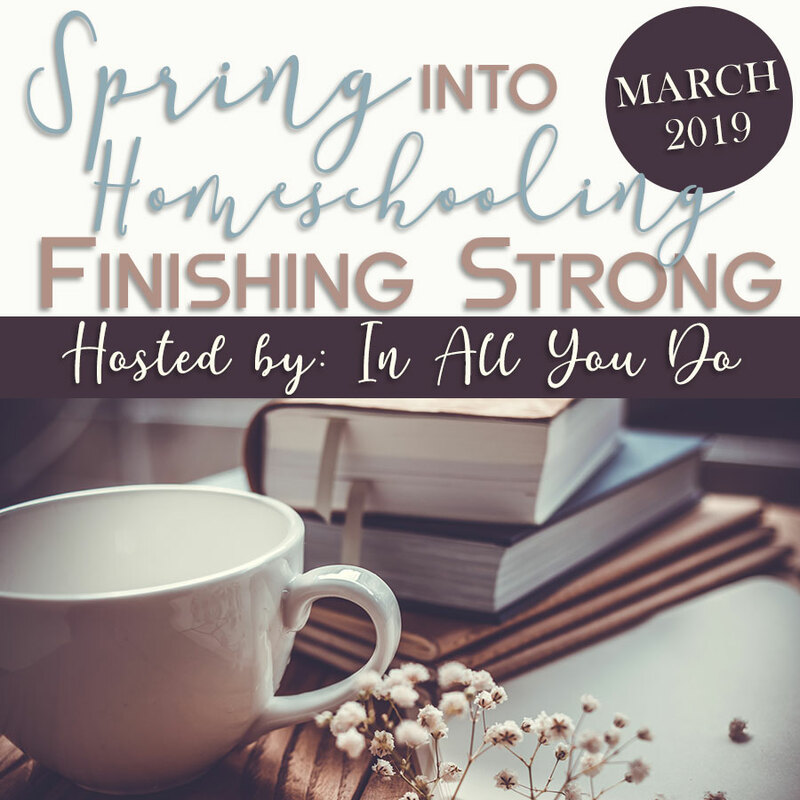 If you’re a perfectionist, you might have a difficult time when it comes to homeschooling your kids. 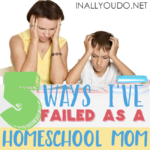 Frankly, homeschooling is messy and even down right hard at times. Often times things don’t go as planned. If you need everything to go by the book, you might just drive yourself crazy trying to homeschool. Solution: Embrace the craziness! Take a step back and see that your children may be learning in a completely different way than you, but at least they’re learning! 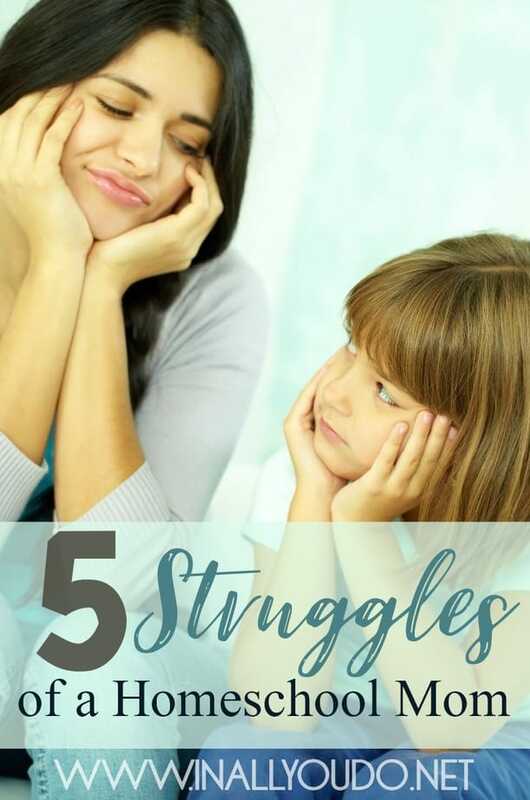 Those are the five biggest struggles I have experienced myself as a homeschooling mom. What struggles do you face? Another struggle I face is grammar. Despite me loving grammar in school and even tutoring students in grammar throughout college, I have not been as diligent as I could’ve with my own kids. We are not accelerated learners when it comes to reading and we simply take it at their pace, so that is probably one reason. However, since my older two middles are reading fairly well on their own now, this year we will be incorporating some new grammar products to help introduce them to the basics. I was recently introduced to a new product from WriteShop. Note: I was given this product for the purpose of the following giveaway and promotional purposes. I was not required to write a review or give a positive response. All opinions are my own. My daughter is the one who struggles the most with grammar and sentences, so we decided to start using the new WriteShop Junior Fold-N-Go Grammar Pack. I assembled the first section for her, just to make sure we knew what we were doing, but moving forward she will do it herself. It was so quick and easy! I also used staples this time around, but I think we’ll just tape it moving forward, but I’ll leave that up to her. We have only done a couple of pages so far, but I love the layout! It is quick and simple enough for bite-sized learning. The first section is all about punctuation marks. Page one gives all the reasons and examples when you would use a period. Then, it gives a short paragraph for review where the student can practice for themselves! This is a consumable product, but you can make copies for your own family’s use. However, it is warned that the colored paper may not copy well, so in that case I would recommend you purchase the digital version. Now, it’s your turn! 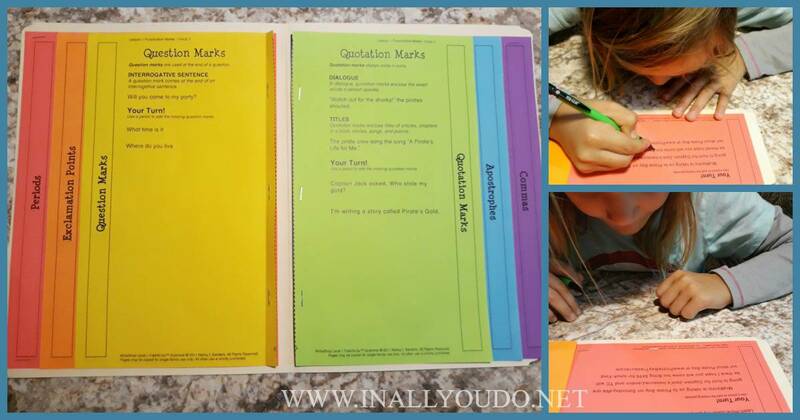 One lucky reader will win a physical copy of the WriteShop Junior Fold-N-Go Grammar Pack! Enter below for your chance to win! 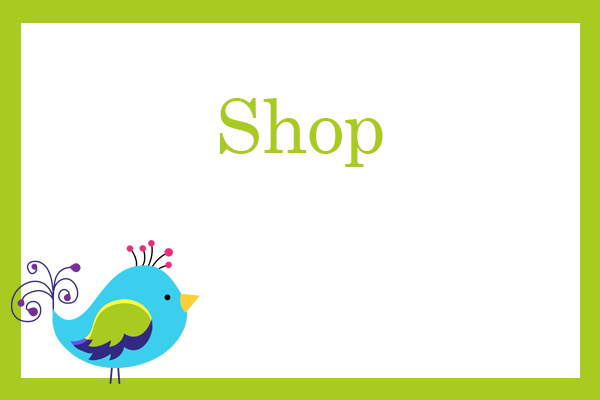 This giveaway is sponsored by WriteShop. As a sponsor, the emails of all entrants will be shared with (and only with) WriteShop. The most difficult part about teaching grammar is engaging a student in the learning of it. Then, as far as grammar goes, the more complex sentence structures with clauses and multiple objects can get difficult. I’d love to try this product with at least one of my kids. It looks promising! It’s hard to make grammar fun.